This kit is presented by B&H as the ideal solution for the outdoor enthusiast buying a new Sigma 500mm f/4.5 EX DG APO HSM Autofocus Lens for Nikon AF Lens. In addition to the lens, this kit includes a dedicated LensCoat Lens Cover in the Forest Green Camo camouflage pattern. This pattern is ideal for general use in wooded areas. It covers the lens with a 100% closed-cell neoprene coat, also offering protection from bumps, jars and nicks. The cover is used to protect the lens when in use. Also included is the Hoodie (in same color), which is a neoprene hood cover that fits easily and snugly around your lens hood in either the shooting position or reversed. 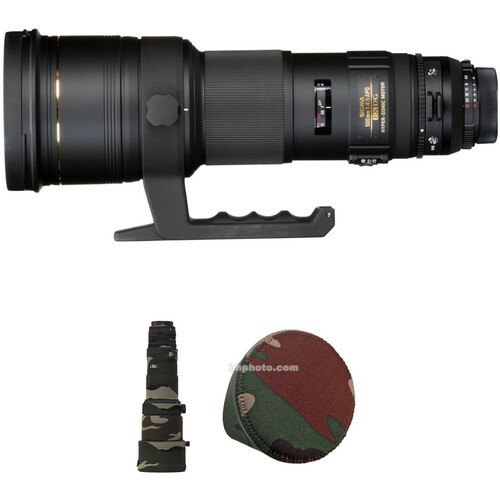 The Sigma 500mm f/4.5 EX DG APO HSM Lens is an Apochromatic ultra-telephoto lens with a fast f/4.5 maximum aperture. It incorporates two ELD (Extraordinary Low Dispersion) glass elements to reduce chromatic aberration to a minimum. 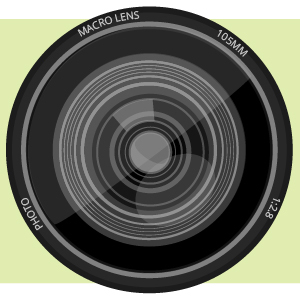 Internal focus enables responsive and fast autofocus speed. The LensCoat Lens Cover provides protection of the lens while in use. It also provides a thermal barrier, protecting your hands from a cold lens in lower temperatures. The LensCoat X-Large Hoodie Lens Hood Cover is a neoprene hood cover that fits easily and snugly around your lens hood. This can help to protect the front element of your lens from dirt, dust, moisture and impact.